Thanks for your interest in Army&You’s fantastic summer giveaways. Entries have now closed, but look out for more amazing prizes in our autumn issue which will be with you at the end of August! Wouldn’t it be great to escape from the day-to-day stresses of Army life, unwind and have fun? You can at Bluestone National Park Resort in spectacular Pembrokeshire, where free-range fun and relaxation are the order of the day. No matter what the weather or time of year, Bluestone has lots to offer any Army family. With luxury lodges, cottages and apartments; not to mention Blue lagoon water park, The Well Spa Retreat, shops, a pub and restaurants all within 500 acres of private countryside. Visit www.bluestonewales.com today and start planning your break. 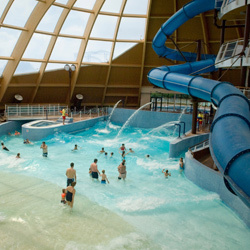 Army&You is offering you the chance to WIN a luxury mid-week break at Bluestone for up to four people in a luxury Caldey lodge (worth at least £299) on a self-catering basis, including access to the Blue Lagoon water park and Adventure Centre. Prize includes a mid-week break in a luxury Caldey lodge between 1 September and 1 December 2014 (excluding 17 October to 2 November) subject to availability, for up to four people; not including travel to or from Bluestone, food or beverages or activities. No cash alternative will be provided and the prize is non-negotiable. 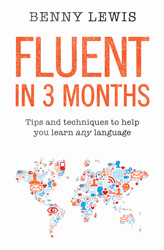 Fluent in 3 Months, by Benny Lewis, harnesses the power of the internet to help you learn a new language wherever you are. Described as a ‘fool-proof’ method to master foreign languages, the bookstarts by debunking myths such as “I’m too old to learn” and “I don’t have time”. It provides a list of useful apps and websites, invaluable for Army families posted abroad, and will teach you how to make the most of technology such as finding Skype practice partners and streaming radio from all over the world, to help you learn. Army&You has four copies of this inspiring book up for grabs to get you well on your way to loving languages. Bonne chance! 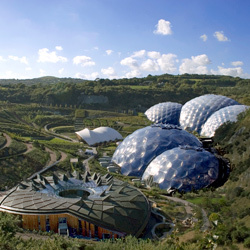 Exciting, inspiring and fun, the Eden Project explores our relationship with nature. Discover a range of fascinating events and exhibits, including the biggest rainforest in captivity, and over a million plants making Eden a must-see for any family trip to Cornwall! Travel the world in a day: from the Rainforest Biome, where you can walk through the treetops on the Rainforest Walkway, to the Mediterranean Biome taking in the sights and scents. With music gigs and seasonal events like den building in the summer, Halloween activities and ice-skating in the winter, there is something for everyone all year round! Visit www.edenproject.com/armyandyou for more info. Army&You has teamed up with the Eden Project to offer a fabulous family ticket, with lunch, (worth £100) to explore all Eden has to offer. There is always something to see or do in Yorkshire with English Heritage. With 18 different properties in some of the most stunning locations, from commanding coastal castles and moorland abbeys, to grand countryside estates and a fantastic programme of live action events, you’ll be spoilt for choice! Visit www.english-heritage.org.uk/yorkshire for a full list of fascinating venues, opening times and charges and get exploring this historic part of the UK. Win a money-can’t-buy pass courtesy of English Heritage and Army&You, for up to two adults and three children for any English Heritage sites within Yorkshire for a whole year. Eureka! The National Children’s Museum based in Halifax, West Yorkshire, is not like other museums. Let your kids get hands-on exploring more than 400 interactive exhibits; from All About Me, discovering how amazing our bodies are and how we can look after them, to Living and Working Together where your children can view a child-sized town square including a house, shop, bank and post office. What’s more, standard admission also gets you an annual pass, so you can visit as many times as you like for a whole year. Visit www.eureka.org.uk for more information – there’s so much to do and see. Army&You has five annual family passes up for grabs. Join in the fun with Peppa, George and their friends as they tour the UK with the new theatre show Peppa Pig’s Big Splash. An all-singing, all-dancing adventure full of songs, games and muddy puddles your little one will love! There’s plenty of fun to be had as Peppa and the gang set up a fête to raise money for Mr Bull to do the repairs to the nursery roof. There’s also a Champion Puddle Jumping competition judged by Mr Potato, where everyone gets wet and Peppa needs to find her Golden Boots. Peppa Pig’s Big Splash is on tour until October 2014. 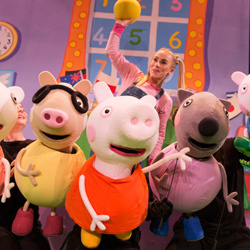 Visit www.peppapiglive.com for venues, times and ticket prices. For your chance to win one of two family tickets (four people, minimum one adult) to see this fun-filled show, fill in the form below. T&Cs: Tickets are non-transferable and are subject to availability. There are no cash alternatives, accommodation or travel included in this prize. Not your average dog bed: the Huge Grizzly Bear Paw dog bed by Scruffs measures a whopping 130cm in diameter. Available in either teddy or brown, all dogs big and small can lounge in the lap of luxury. Check out www.petslovescruffs.com for all the latest beds and accessories from Scruffs. Army&You has one of these fabulous canine cushions to give away. 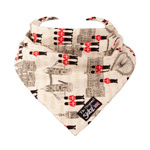 Skibz, makers of the original bandana dribble bib, has launched new designs for the Made in Britain range (made in Somerset) to keep your tot looking cute and stylish every day. From strawberries to elephants, football to London, Skibz has your little one’s fashion fix covered. Visit www.skibz.co.uk for the full range of fun designs. Army&You is delighted to offer two lucky winners the chance to win the London design, each worth £10, featuring the London Eye, Buckingham Palace, Big Ben, the Tower of London and Her Majesty’s Royal Guards! When RAF search and rescue pilot Matt Prosser deployed to the Falkland Islands, he packed his notepad and sketchbook and created an enchanting book, Charlie and the Dragon, so he could give something special to his nephew. Army&You has five copies of Charlie and the Dragon, worth £6.99 each, to give away. 10) Heavenly snacks – honest! Our Honest Foods is on a mission to fill the awkward gaps between meals. 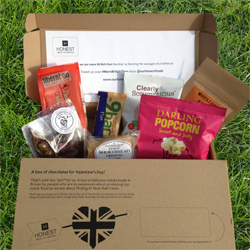 Once a month, they send out a Snackorium – a heavenly box of tasty British treats – to customers across the UK and via BFPO. You could win one of five Snackorium boxes with Army&You. Legal column: Not seeing your child enough?